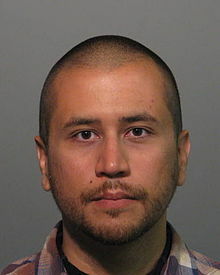 The Justice Department has spent tax dollars supporting a campaign against George Zimmerman following the shooting of Trayvon Martin, Fox News reports, citing a conservative watchdog group. The Justice Department has a branch, called the Community Relations Service, that handles conflicts over race. According to documents cited by Fox News, the CRS agency filed a series of expenses related to late March and early April demonstrations. Posted: 7/11/13 at 9:29 AM under FBI, News Story.